Inquiry requires a modern browser like IE 10, Chrome V59, or FireFox V54 to be viewed correctly. 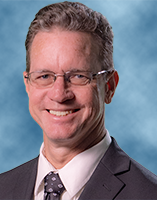 PDF Viewer required and installed properly to view imaged documents. Court records are available for most cases starting from year 1985. Searchs are limited to a maximum of 500 records per request. Limits are also restricted by database resources (time per query). To better refine your search, use varations of date range or name entries. Name searchs will not show results on confidential cases. NoBot/Captchas will display after 10 requests or 30 image retreival per hour for public accounts. The User (you) are expressly prohibited from reproducing, publishing on-line, selling, reselling or otherwise disseminating data or information accessed pursuant to this Disclaimer Agreement, except as permitted by law. The information accessed is not intended to be used for commercial resale, except as permitted by law. Unauthorized attempts to change information on this service are strictly prohibited and may be punishable under any and all applicable laws. 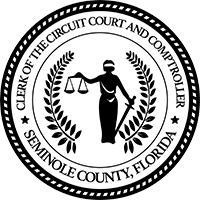 By using this service, in any form, the User agrees to indemnify and hold harmless the Seminole County Clerk of Circuit Court and anyone involved in storing, retrieving, or displaying this information for any damage of any type that may be caused by accessing this information over the Internet. Note: Application is in Pilot Phase. System updates/outages may occur at any time.